Under this law, lienors have the right to record a lien against real property if they are not paid for services, labor or materials provided for the improvement of such property. A lienor may be a contractor; subcontractor; sub-subcontractor; laborer; materialman who contracts with the owner, a contractor, a subcontractor, or a sub-subcontractor; or certain professionals (such as engineers or architects). While the owners of real property may be able to ascertain their exposure to a lien resulting from non-payment to a contractor that was engaged for the improvements, exposure to liens from non-payment to other lienors may be difficult to ascertain given that it is typically the contractor hired by the property owner that is entrusted with the obligation to pay the other parties having a right to place a lien on the property. For example, property owners may be aware that they have entered into a contract with a specific contractor, but they may be unaware that their contractor has engaged a subcontractor to excavate the land for the pool, and they have acquired the plaster and other materials from suppliers. In the above example, lienors engaged by the contractor must be paid for their services, labor and materials. While the property owners may be aware that they have paid their contractor, they may be unaware of the subcontractors or suppliers. Failure to ensure that payment has been issued to the subcontractors and suppliers may result in the filing of a lien against the property, even if the owner paid the contractor. The laws provide property owners with tools to notify the general public of their agreements with contractors hired for the improvement of real property so that potential lienors that have a right to file a lien on the owner’s property may then provide the owner with notice of their rights to lien for non-payment. In such cases, the property owner will file a Notice of Commencement in the public records of the county in which the property being improved is located. Those having lien rights for the work being performed and materials being supplied will be able to serve the property owner with a Notice to Owner advising the owner that they have been hired by the contractor to provide services or materials in connection with the project. 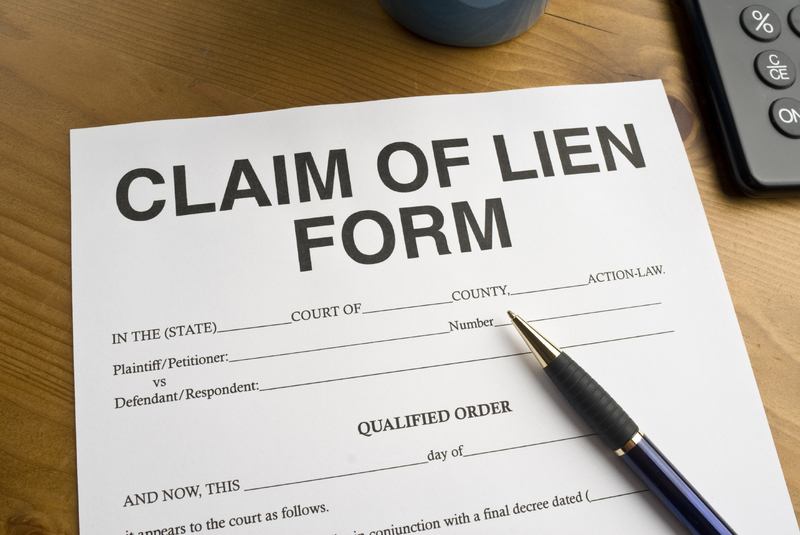 Once a property owner is alerted as to the existence of all parties having a right to lien the property in connection with the improvement, the owner is in a position to ensure that all lienors are paid by the contractor, thus reducing each respective lienor’s rights to record a lien to the extent that they receive payment on the owner’s behalf. In order to ensure that lienors have been paid, the owner should condition that the contractor and other lienors provide releases of lien upon their receipt of payment. The construction lien laws consist of a tedious set of statutes – complicated further by case law interpreting legal disputes involving such laws. Although the foregoing serves as a basic introduction of such laws, managers and directors must implement the procedures to protect against pitfalls such as those described above. Managers and directors should work closely with their engineers and attorneys to ensure that a contractor’s requested payment is conditioned upon satisfactory performance of work and compliance with procedures and forms included in the construction lien laws.